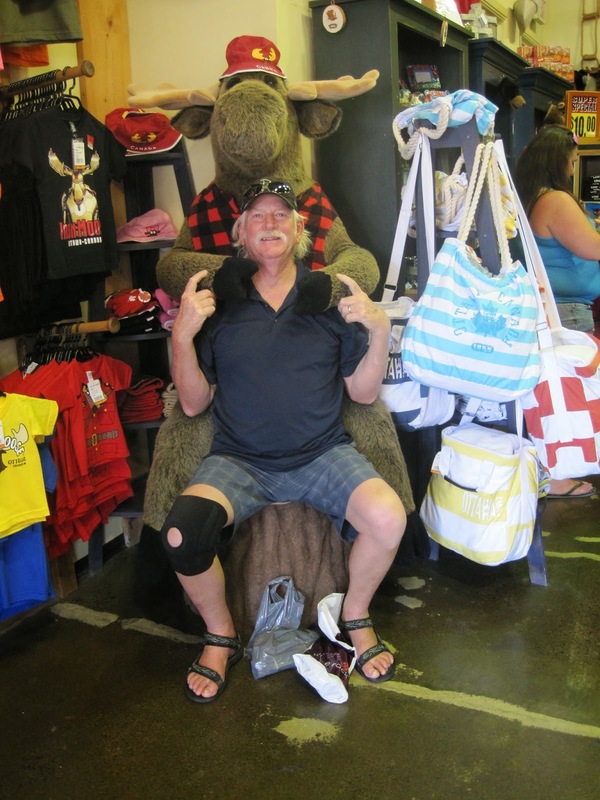 We left Montreal on July 3rd and heading for the Ottawa River and eventually the Rideau Canal. 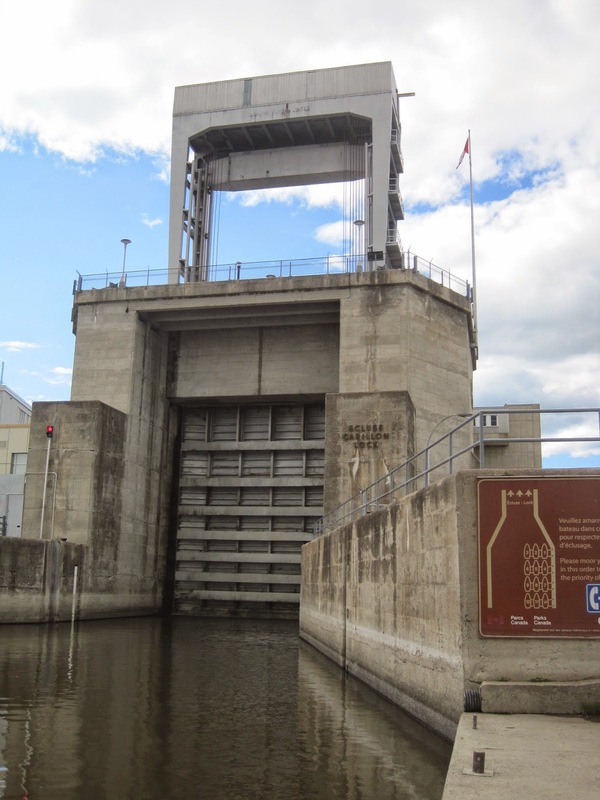 Our first stop after going thru the St. Lambert lock and waiting three and a half hours for all the ships that have first lockage before pleasure boats, was at Sainte Anne Bellevue lock. We stayed at the lock wall, where there was several resturants and a grocery store. We were going to stay an extra day but the group decided to leave in the morning and head further up to the Carillon Lock. 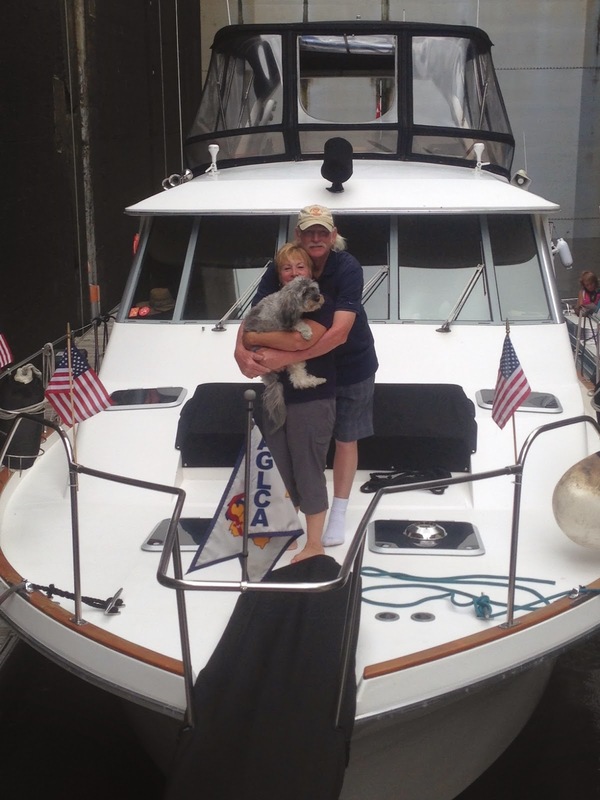 We arrived there and waiting at least an hour before going into the lock that takes us up sixty five feet. We were going to stay at the lock but we all decided again to go to the municipal docks in Hawkesbury, about another hour and half away. When we got there it turns out they were having a poker run that weekend and all the docks were reserved. We found that out by docking and the mayor greeting us to let us know the bad news. However, he said we could anchor out which we tried to do and of coarse Average Looper and us hit a rock not on the charts and bent a prop. We then decided to head further down and anchor at a recommended spot another eight miles away. We finally arrived at Baie des Atocas anchorage at 9:00pm. Not a fun day. When we awoke, Average Looper had left early and and was on a mission to get their props fixed as soon as possible. The other three of us left around 9:00 and headed to Ottawa. 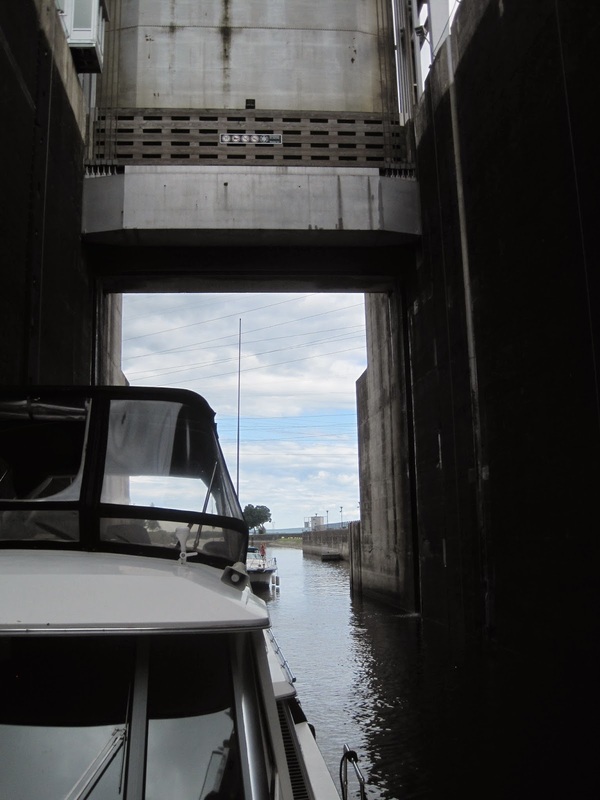 We went to Hull Marina across the river from the capital of Canada, Average Looper had all ready gone up the first consecutive eight locks on the Rideau in Ottawa. The next day Navigator left to go up the locks and we decided to stay until Tuesday the 8th. 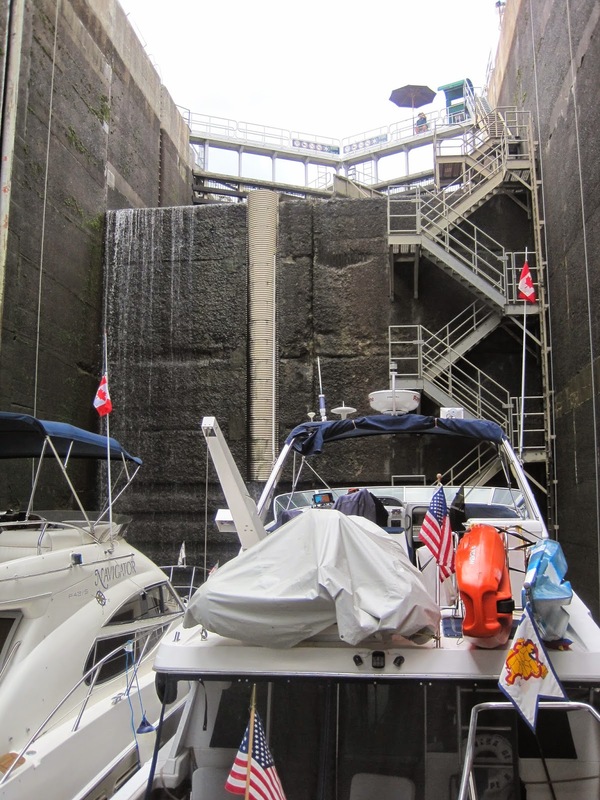 The eight Ottawa staircase locks which is a rise of eighty feet takes over two hours to get to the top. Loved Ottawa.